Ingredients: Cocoa Pods, Palm Kernel Oil, Coconut Oil, Unrefined Shea Butter, Plantain Skin Ashes,Vitamin E, Purified Water. Tea Tree & Lemongrass Activated Bamboo Charcoal Soap has amazing cleansing properties that pull toxins & impurities from the skin. It has the amazing ability to deep cleanse pores which allows the skin to breathe properly. Classic Lavender blended with Orange makes for a pair "meant to be". Imagine the floral and herbal aroma of lavender blended with sweet soft citrus of orange. Lavender is a natural antibacterial & anti-inflammatory that helps reduce skin redness & irritation while aiding in boosting mood & promoting sound sleep. Orange helps support healthy skin cells from being destroyed by free radicals while adding a healthy glowing shine to skin. Helps rid your skin of dead cells and helps naturally shrink and tone pores. Our classic essential oil blend of sweet, floral chamomile, blended with Neroli and Petitgrain for a delightfully sweet and floral treat that's not overpowering. We combine real ground chamomile flowers for a perfect herbal touch and light exfoliation. Avocado Butter is a rich, soft, pliable butter that make a great substitute for Shea Butter. Rich cold-pressed avocado oil provides a great moisturizing treatment for hair & skin. Hempseed Butter is a rich, soft, pliable butter that make a great substitute for Shea Butter. Rich cold-pressed, packed with omega 3, 6, & 9. 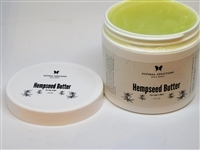 Hempseed butter provides a great moisturizing treatment for hair & skin. Moisture Junkie Body Butter is the ultimate all natural skin conditioner and moisturizer. 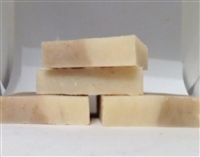 This unique fusion of butters and organic plant oils is formulated to treat severely dry skin. It leaves skin hydrated and feeling silky. Calm your body and mind with the soothing smell of lavender and the ingredients are gentle enough to be used to infants and children. Use after bath time, to help calm and soothe fussy babies.